Aqua Pools offers 2 options for financing your backyard oasis! Lakeside Bank is the leader when it comes to home renovation and swimming pool loans. They offer consistently low rates, ideal for those fixer-uppers and home improvements like adding a pool, spa, or outdoor kitchen. 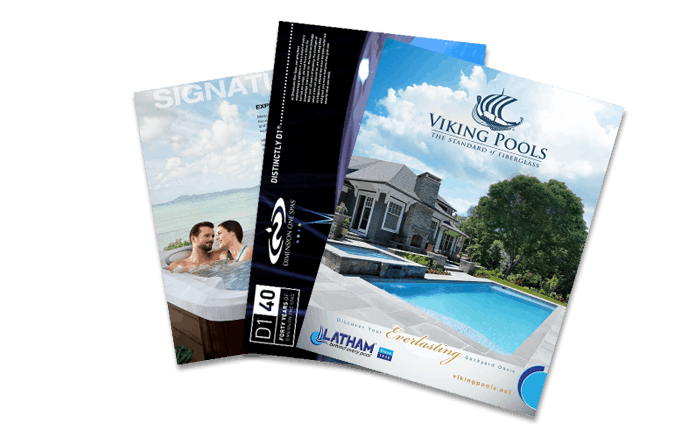 Their financing packages can cover the cost of the pool, as well as any decking and fencing you might need. Lakeside Bank handles draw checks and sends the check directly to the homeowner. For more information or to apply for a pre-approved loan, contact Todd at 708.205.2983 or email t.probasco@lakesidebank.com. Don’t dip into your valuable home equity in order to finance your new pool! Get the financing you need to make your backyard oasis a reality with a loan from LightStream. A division of SunTrust Bank, LightStream can loan you up to $100,000 in a jiffy! We offer rates as low as 4.99% APR when the customer signs up for AutoPay. There are NO FEES! Aqua Pools has been in the pool business since 1978, and we take pride, not just in our high-quality pools and spas, but in our ability to help homeowners get the financing they need to turn their dreams into realities. LightStream specializes in all sizes of loans, from a small one to a hefty one. Flexible loans are available from $5,000 to $100,000. In many cases, you can get funding the same day you apply! There are never any fees, penalties for prepayment, or down payments required. Also, there are no liens placed on your home or property, and no collateral is required! *Your APR may differ based on amount, term and credit profile. Rate is quoted with AutoPay repayment option. Rates under the Invoicing option are 0.50% higher. Subject to credit approval. Conditions and limitations apply. Rate as of 02/10/2015. Advertised rates and terms are subject to change without notice. SunTrust Bank is an Equal Housing Lender. ©2015 SunTrust Banks, Inc. SunTrust, and LightStream are federally registered services mark of SunTrust Banks, Inc. All other trademarks are the property of their respective owners. Lending services provided by SunTrust Bank, member FDIC. SunTrust Bank is an Equal Housing Lender. ©2015 SunTrust Banks, Inc. SunTrust, and LightStream are federally registered services mark of SunTrust Banks, Inc. All other trademarks are the property of their respective owners. Lending services provided by SunTrust Bank, member FDIC.